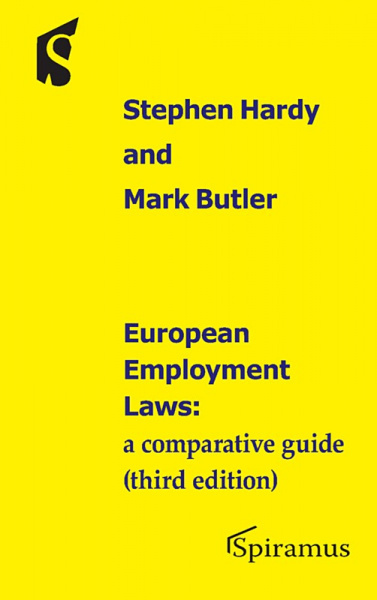 The book reviews the evolution of labour law within the EU, analyses the distinct regional approaches to employment and welfare, and looks at the pressures for change within a further enlarged EU. The authors then provide a basic outline of employment law in each of the 28 member states, and in Turkey, Montenegro and Bosnia Herzegovina (all of whom are preparing for membership). In the six years since the second edition of this book was published in 2010 the economic consequences of the global financial crisis of 2008 onwards have forced many EU member states to revisit their labour laws, and attempt to make their labour markets more competitive while remaining in the EU framework. These changes have been incorporated into the third edition. The book identifies those areas where the law is unified by the enactment of European Directives, and regional differences which are potential pitfalls for employers with workers in more than one EU state. It is intended for HR persons, lawyers looking for basic knowledge, policymakers & lawmakers elsewhere in EU, and EU bodies. Stephen Hardy LLB PhD FRSA MCIArb FHEAcad, is Professor of Law and formerly a practising barrister specialising in employment law. He is also a Judge of the First-tier Tribunal (Social Entitlement Chamber). Mark Butler LLB LLM PhD is a non-practising barrister and Lecturer in Law at Lancaster University. He is the author of Spiramus’s Equality and Anti-Discrimination Law (2016) and the Deputy General Editor of Sweet & Maxwell’s Encyclopaedia of Employment Law.